Popularly known as 'Salak' (Salacca zalacca), this palm species originated in Indonesia, but it is now cultivated throughout Southeast Asia. 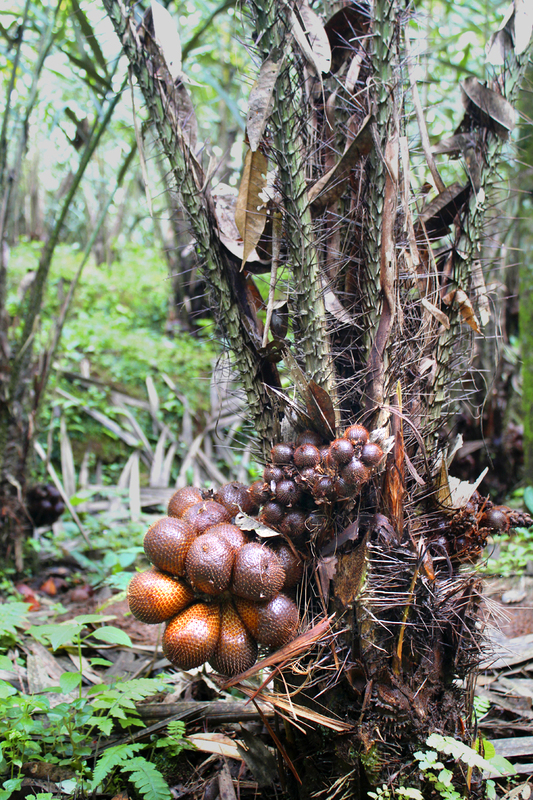 The fruits grow in clusters at the base of a relatively short, yet very spiny, palm tree. The reddish-brown scaly skin of the fruit inspires its English moniker: snakeskin/snake fruit. 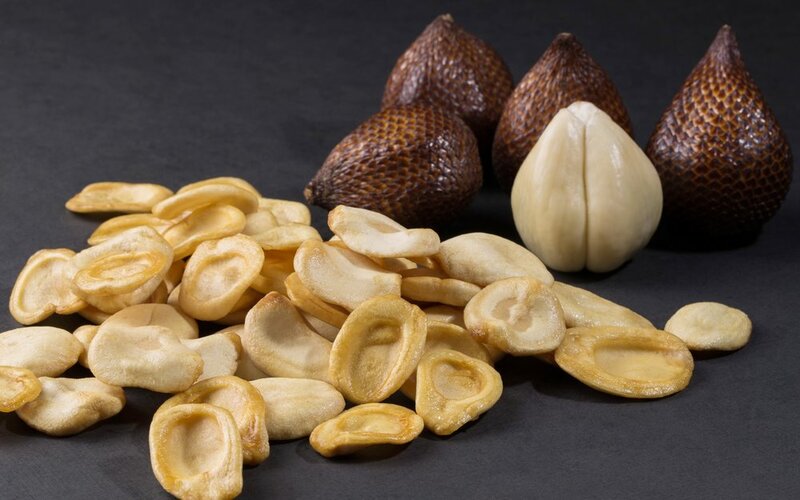 Throughout Indonesia and its neighboring countries, ripe salak is simply peeled to expose the large, cream-colored 'bulbs', which are then eaten fresh for its crunchy, sweet flesh that also has some acidic and tannic qualities. Salak can also be pickled, candied, canned and also turned into chips. There are many salak varieties, including Salak Bali, Salak Bangkok, Salak Ambarawa, Salak Banjarnegara and Salak Pondoh — nutritionally, they're all rich in vitamins and minerals such as Vitamins B1, B2, C, iron, calcium, phosporus and others. We carefully select the salacca variety that's turned into PMA's Organic Salacca Chips to give our product a more nuanced flavor than others sold in the market. Not only do our chips retain the fruit's natural sweetness, but one crisp bite also reveals some fruity tartness with a hint of berry flavors.